Dumbbell Bracelet is made from Lapis Lazuli beads and Rhodium Plated dumbbell, a perfect gift for enlightenment, truth and developing psychic gifts. The energy of these blue crystals may intensify the growth of intuition, channeling and psychic abilities, and may aid you to contact your guardian angels. 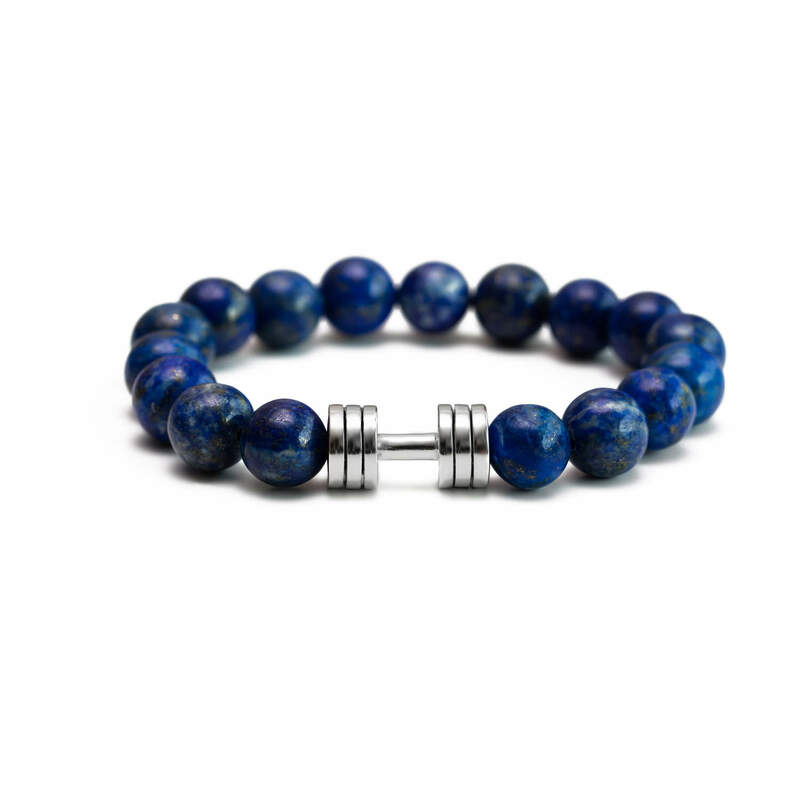 Introducing FitSelection’s new jewelry piece – Lapis Lazuli dumbbell bracelet with grade “A” Lapis Lazuli beads.With a dumbbell pendant and beautiful stones, this bracelet is a perfect token as fitness lifestyle motivation and a good luck charm. 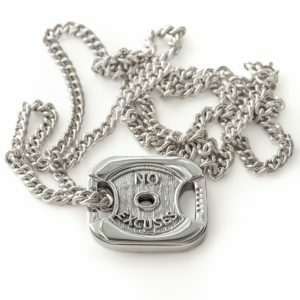 Item is made of natural high-quality Lapis Lazuli beads and Rhodium plated dumbbell. Each bracelet is handmade by our team, wherein we put two rows of strong elastic cord through the beads to ensure longevity. 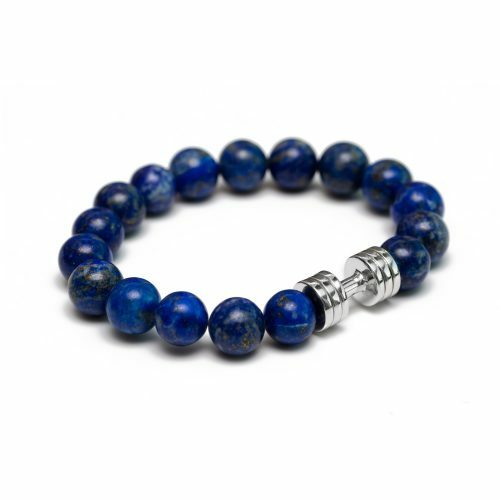 Lapis Lazuli Dumbbell Bracelet is an excellent token for executives, journalists, and psychologists, stimulating wisdom and good judgment in the practical world. It aids intellectual analysis in archeologists and historians, problem solving for lawyers, and creates new ideas for inventors and writers. 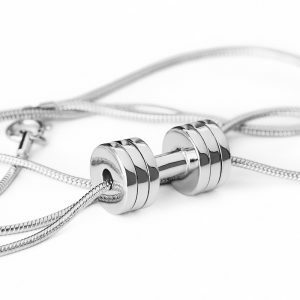 The dumbbell is Rhodium plated ensuring long lasting and non-irritating even to sensitive skin. 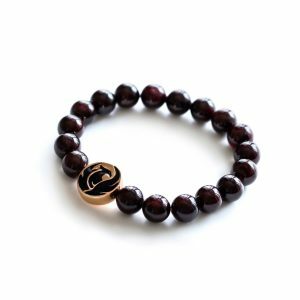 Standard bracelet size will easy fit 7-8 inches wrist, however, contact us directly in case you would require customised size of the bracelet. 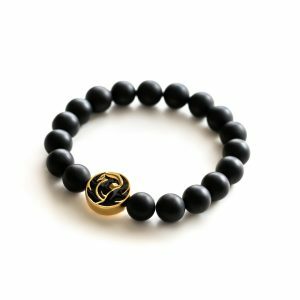 The bracelet comes presented in a black Fit Selection box, making it the ideal motivational gift for your favourite spotter, encouragement for your friend or family member to improve life habits or a nice treat for yourself. For more information about the Lapis Lazuli Stone please check our article.